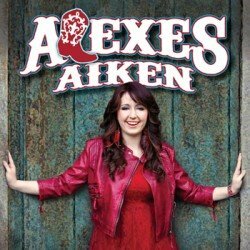 Get Alexes Aiken’s CD Here. 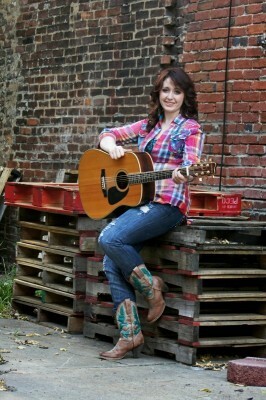 Aiken’s awards include Future Star – Female Vocalist of the Year, Songwriter of the Year (New Gospel) for the song, “Note on the Mirror”, and Co-Songwriter of the Year (New Country) for the song, “Best in Me” from the North America Country and Music Associations, Int’l 2013 for the 17-20 year old category. Entertainer of the Year (Traditional Country) and Songwriter of the Year (New Country and Inspirational) for the 13-16 year old category from the Tennessee Country & Gospel Music Association (TCGMA) 2012 Awards. She also won Future Star Award, Female Entertainer of the Year (New Country), and Co-Songwriter of the Year (New Country, Gospel, Holiday and Patriotic) from the North America Country Music Associations, Int’l 2012 Awards for the 13-16 year-old category. In fact, Aiken’s Nashville based producer, Jonell Polansky, is also a triple platinum publisher on Tim McGraw’s Dancehall Doctors CD. Polansky proudly says, “Alexes could rival any Nashville newcomer especially since she is born and raised in New Orleans but sings like she was born on The Opry stage.” She has also sung at the Country Music Hall of Fame in Nashville at the TCGMA and GCGMA Awards Show, and on the main stage at the Nashville Palace. “Aiken’s new self-titled EP and her commanding voice are prominent in the club-electronica dance tracks influenced by the country remakes of these two iconic songs– Queen’s “I Want It All” and the timeless Nancy Sinatra classic “These Boots Are Made For Walkin’,” explains Polansky. It is Aiken’s hope that her re-mixed version of “I Want It All” will become a new youth anthem. Her re-mix of “Boots” celebrates the original song’s 45th anniversary as a soundtrack during television news coverage in 1967 as the cameras focused on US Infantry on patrol during the Vietnam War. “Miss Sinatra originally recorded her version of the “Boots” song to welcome the troops from the Vietnam War. I’m dedicating my version to our troops around the world today and, in particular, to my paternal grandfather who is a WWII Army survivor and still a large part of my life,” smiles Aiken. “My maternal grandfather was one of the most amazing men I have ever known. As I have said, the men in my life are the greatest men in the world, but my grandpa was really special. My grandpa was also a singer. After he was treated for thyroid cancer, his singing voice was completely destroyed from radiation. When I had sleepovers at his house, he would sing me to sleep. At the time I never realized how much of an impact he would make on my life,” recalls Aiken, of her dearly departed grandpa. Aiken’s personality is as flamboyant as her red hair. She is also a strong mirror image of her mother, Tonia, who is a nurse attorney and as pragmatic and dedicated as her father, Dr. James Aiken, Associate Director of Emergency Services at Charity Hospital who treated hundreds of Hurricane Katrina patients. Family is important to Aiken. “My mom is one of the most hardworking people I know. I hope one day that I can be at least half the woman that she is. My dad (who also plays guitar) is my rock for advice and we have a really rare relationship that few families ever get to experience,” Aiken explains. Aiken graduated from Arden Cahill Academy in Gretna, LA and is attending De La Salle High School in New Orleans.